Each of the two Metro game released so far have maintained the series’ linearity. Players follow a defined story path with minimal exploration, save for base of operations areas that Artyom visits. 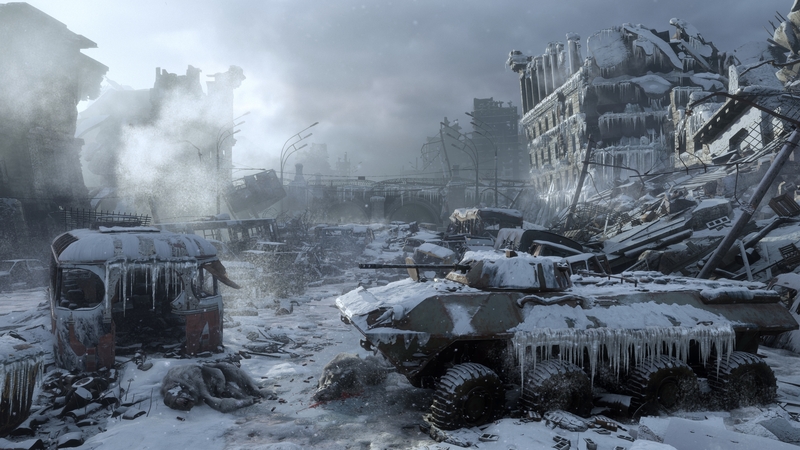 In the franchise’s forthcoming third entry, Metro Exodus, developer 4A Games is opening up the world. According to Huw Beynon, the series’ Global Brand Manager at Deep Silver, the experience won’t be fully open world. Instead, what 4A Games has designed are “miniature open worlds” within the game. In an interview with GameSpot, Beynon explained how the developer broadened the scope of a typical Metro world while simultaneously staying true to the franchise’s roots. That’s fundamentally the biggest challenge that the studio has. Exodus was kind of born out of this ambition to try and do something new. So the first two games were more linear and story-driven, inspired very much by Half-Life. Also, given the size of the team at the time, Metro 2033 I think topped out around 50 or 60 people. Metro: Last Light [had] 70 to 80 [people]. So, the idea of doing a more open game with that kind of team size and resources was out of the question anywhere. So, with the first two games, they focused on something they knew they could do, and do really well. And then, you know, after literally six or seven years spent in the tunnels beneath Moscow, working underground, we wanted to try something different. They couldn’t come back and do Metro 3 to be more of the same. I think the concept originally came from the art team. They said, ‘We want to explore the environments,’ and we got all these ideas, and they came up with the idea for this journey across Russia. [4A Games] wanted to try and find that perfect marriage of more open-ended and emergent gameplay but still keep the experience feeling unmistakably natural, and the spent a huge amount of time the first few years trying to find that formula where we could have both, and it wasn’t an easy process. Later in the interview, Beynon reaffirmed that Metro Exodus is not an open world game. I think for Metro fans, it’s really important to make it clear that it’s not an open world game. 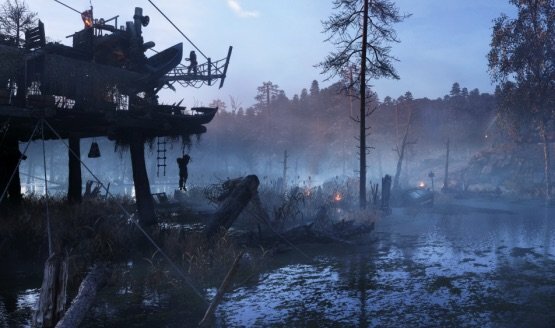 It’s a series of levels, and you play them in linear order, and you still have traditional Metro-style levels when the game starts; the game will feel very familiar, and then at E3 we showed the first of these new huge levels, we call them sandbox survival levels. Each one of those can take several hours to complete, several days worth of in-game time, that’s where we’re going to gradually expand the horizons. I wouldn’t call it a hub world. I kind of call it these big levels, like miniature open worlds. So within that level is a defined space. One of the things that’s really important is we want to keep the story front and center. There’s always this sort of golden path, which, if you want to you can play through these open levels and you can kind of imagine playing it as a metro game where you can follow the path around if you want to, but they’re fully open. You can go off and explore at any old time. We’ve purposefully avoided any of the kind of trappings of contemporary open world games where you have side quests and fetch quests, x-number of towers. In a way, what Beynon is describing sounds like an evolution of Uncharted 4’s more open areas. There’s linearity in that game that sets players on a specific path. However, within that path are areas worth exploring, items to find, and stories to stumble across. The key difference between Exodus‘ “miniature open worlds” and Uncharted 4’s wider levels seems to be that the Exodus levels will offer hours of exploration. Metro fans can see how this all comes together when Metro Exodus launches on February 22, 2019.